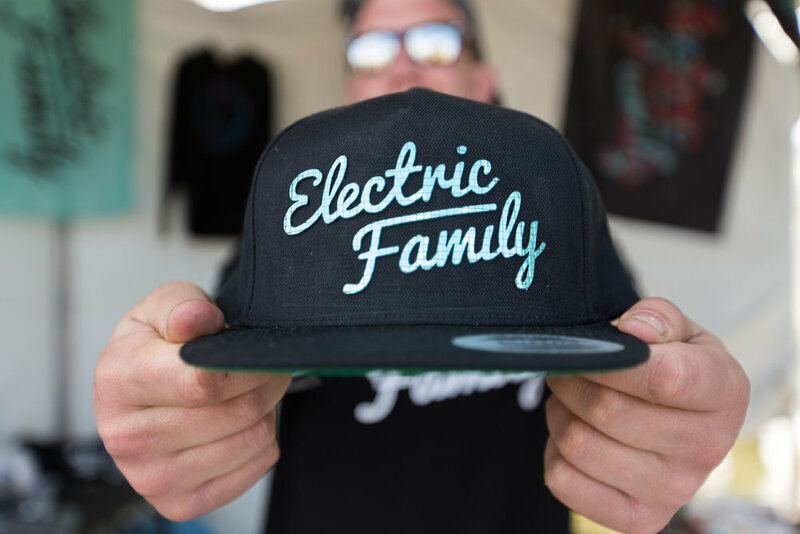 We started Electric Family because we wanted a way to support dance music via fashion, but we couldn’t find a brand that offered the style of clothing we liked. Essentially, all offerings from other companies were neon tanks and tutus, or had something to do with partying. It’s part of the culture so we accepted that, but we were more into the streetwear side of fashion. The goal for the Electric Family line is the fuse the electronic dance music culture with streetwear to provide fans a different way to support their interests. We are also a brand focused on inspiring positive action and raising the collective social consciousness of our fans/customers. The electronic music culture is built on an underlying acceptance for all people, regardless of the way they look or where they come from. It is this type of mindset that helps our customers relate to the progressive message we promote. Really, the core mission of this company is to inspire positive action. Whether it’s as simple as posting a thoughtful message to social media or as significant as coordinating thousands of fans to package boxes of food for the homeless, we have made it our priority to give back what has been given to us.